A wee craft and a lot of love! 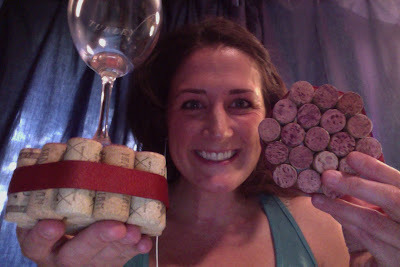 19 Corks + 10 inch zip ties = coaster. A little ribbon + hot glue = finishing touches. Thinking I'll hit the ban saw next to make them a more manageable height. They are a bit tall. Hope this finds you OFF work on this Labor Day and doing something that makes you SMILE!